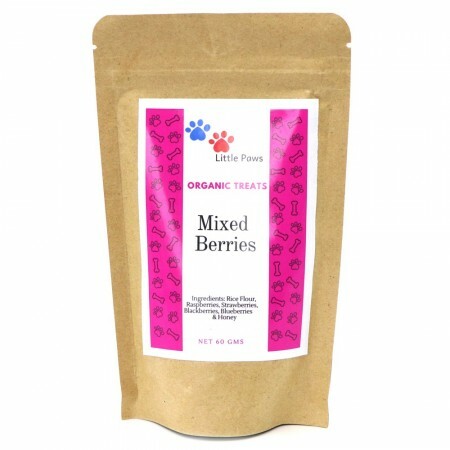 Organic, antioxidant-rich dog treats made from mixed berries, rice flower and honey. 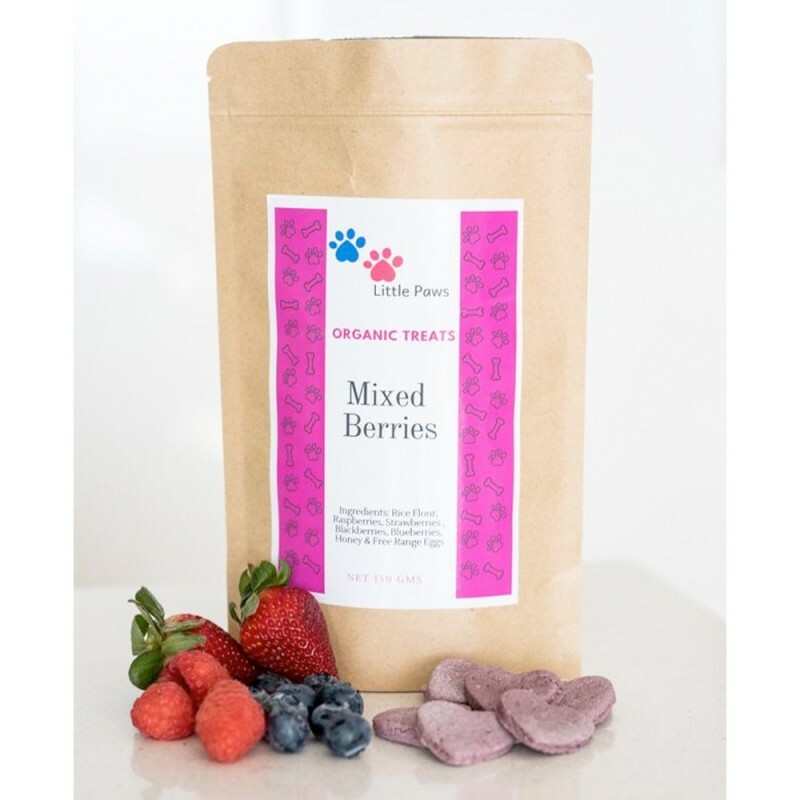 Made with real food-grade ingredients, these heart shaped dog snacks are free from chemicals, fillers, preservatives and additives and good even enough for humans (the Little Paws office can vouch for this!). 60g. Made with real food ingredients. Australian made, supporting local business. Suitable for dogs of all sizes and ages. Rice Flour is high in fiber and gluten-free. Raspberries are used for their high vitamin make up along with antioxidants, potassium, manganese, copper, iron, magnesium. Strawberries help strengthen the immune system, assist weight management and good digestion and promote dental health. Blueberries and blackberries for their antioxidants. Honey is known to have antioxidant, antimicrobial, and soothing effects. Rice Flour, Raspberries, Strawberries, Blackberries, Blueberries and Honey. Browse our other green pet products here. 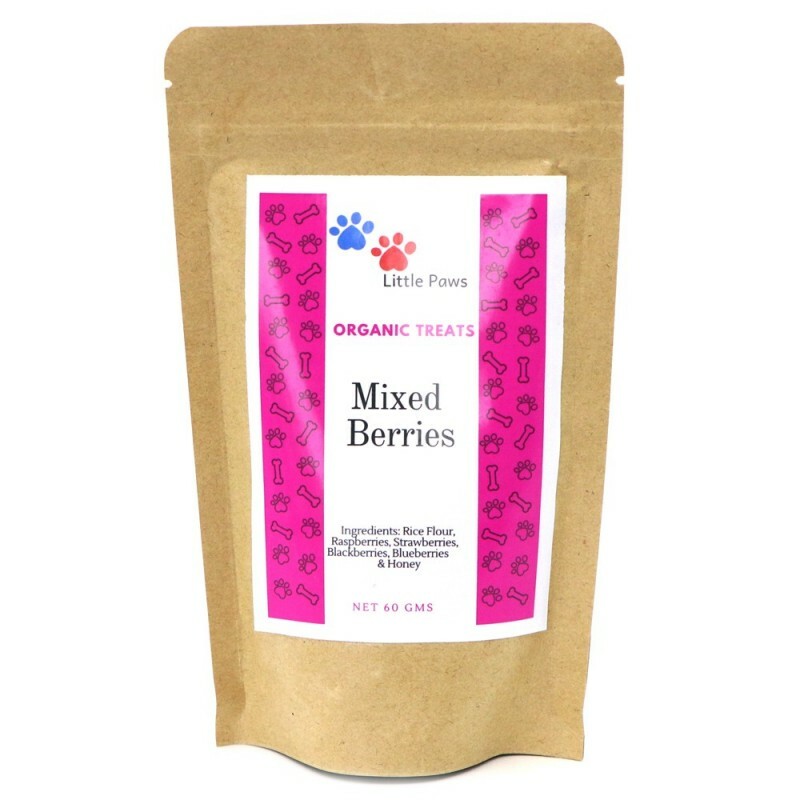 My dog loves these, would be great to see other flavours on here soon! These treats are so cute! I referred to them as the pretty biscuits and my girl absolutely loved the crunch and was always excited when the packet came out of the pantry.